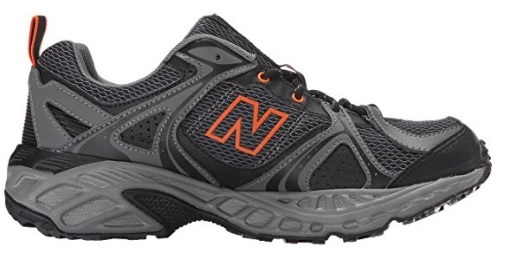 The first impressions of the New Balance 481v2 Trail Shoe is that they look solid. Really solid. With slightly more weight than some of their previous running shoes – but only by a bit – these trail shoes weigh in at 12.6 ounces. So, they won’t exactly weight you down, but there are lighter models available. 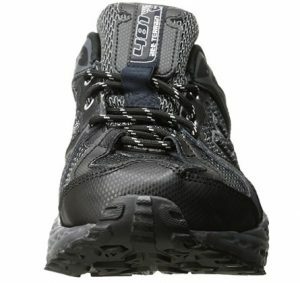 These are designed for rugged use and have a considerable heel on them which will take the strain and absorb all the lumps and bumps in the trail as you go off the road. These are not a particularly ostentatious or trendy design. It is unlikely that you will be purchasing these trail running shoes for reasons of pure fashion. You are equally unlikely to start any style movements whilst wearing these. These are a fairly straightforward pair of trail shoes that would slip unobtrusively into any man’s wardrobe without making waves. As for color, well there are only two available – black trimmed with orange and a simple black. These would perfectly fit under the radar with most casual clothes combinations and could be worn on a daily basis, we feel. The materials are synthetic and mesh, and the sole is made of a good solid rubber base. If your heels are in need of an extra level of support, we feel these may be a good choice as they have a greater height than some other sneakers in this range. Now all that remains is for us to try them on! Hurrah. The good news here is that 83 percent of people who have tried these on for size think they are a good fit and their ordinary size fits just great. There is a very small, but still significant number or people for whom these were a bit too small. In these few cases, it was mostly the width which proved to be an issue for wearers. 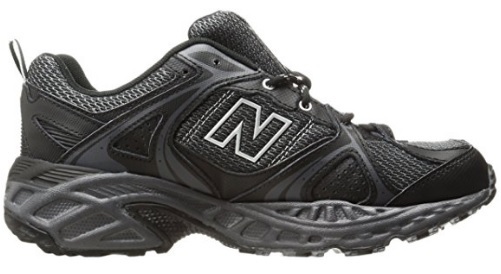 There was a view, amongst a minority, that these trail shoes by New Balance were actually not as wide as the previous version of this running shoe had been. 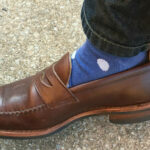 Really, we think that this may only be an option for those with extremely wide feet. And because the New Balance 481v2s come in a range of widths, most people should be fine with their usual sizing. If you should need to size up, these handily come in a half sizes, so you won’t have to buy shoes that are going to be way too big for you. Although these are not marketed as being especially for sufferers of various podiatry conditions, people with certain foot problems have found the larger than average heel to support them better than some of the flatter, lightweight models. So, if your feet need that extra level of cushioning to stop them from hurting, these may be the answer. When we put our running shoes through their paces, Best Walking Shoes really do try and look for any bad news that there may be about them. But when it comes to the comfort level provided by these New Balance 481v2 Trail Shoes we have to say, we struggled in vain to find any serious concerns with the overall performance of these shoes. In short, most people reported that these were nice and comfortable to have on their feet. 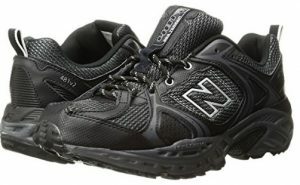 A lot of people who have purchased these trail shoes, have done so for regular walking and everyday working situations. 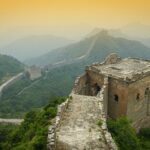 Some of them have jobs that mean they are on their feet all day and require a sturdy pair of walking shoes, which aren’t too big and clumpy, but will provide a high level of support. It is also important that shoes such as these, which may be worn all day long do not chafe, rub or cause any other sort of discomfort over a long period of time. 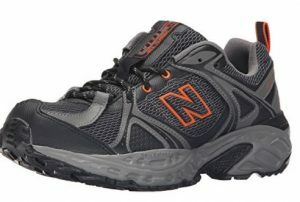 We think that these New Balance 481v2 Trail Shoes can provide just this kind of cushioning support. Particularly these have proven popular with people who do a lot of walking on concrete over a long period of time. 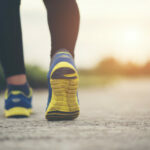 This is good news for runners as well as the casual wearer, because sometimes running shoes which are pre-fixed with the word “trail” can occasionally not be the best of choices for a smoother surface. Happily, this is not the case with these trail shoes. 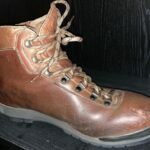 They are just as supportive and practical for wearing on cold hard concrete, as they are for going off the beaten path. So, these grips will not let you down in either dry, flat and smooth conditions or the rockier, bumpier climes that you would associate with trail running. Although these are not specifically work boots for heavy industry, as long as your occupation does not require specialist footwear, we think these make a very good, all-purpose work shoe. 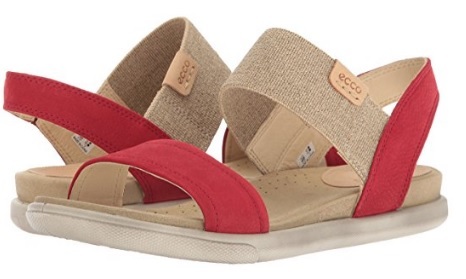 They are both comfortable and versatile for long term wearing and walking. And on the running score? Well, these also make superb shoes as well. However, these are not marketed as being waterproof. This is a pity because otherwise these trail shoes would have the complete package. We do feel that these can withstand a bit of moisture and maybe light rain, but we do not advise wearing them in overly wet, boggy or rainy conditions. The same goes for snow and ice, naturally. 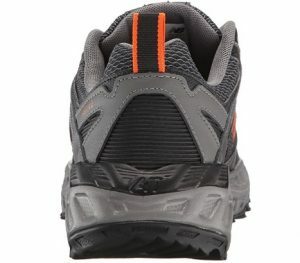 WOULD WE RECOMMEND THESE TRAIL RUNNING SHOES? In short, as long as you are planning on remaining reasonably dry, we think that these New Balance 481v2 make the perfect all-rounder running shoe. 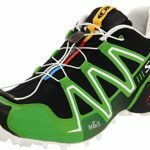 If you only want to buy one pair of running shoes this summer – that are comfortable, well fitting, great for walking in, as well as running, and which won’t break the bank; then these trail running shoes tick all the boxes.